Guns N’ Roses continue to incite a fan frenzy as they announce yet another headlining date in North America with the addition of Tuesday, April 19, 2016 in Mexico City, Mexico at the Foro Sol, announced today. Banamex pre-sale begins February 8 at 11am CT, ending February 9 at 10pm CT; general onsale is scheduled for Wednesday, February 10 at 11am CT. Tickets will be available at www.ticketmaster.com.mx. 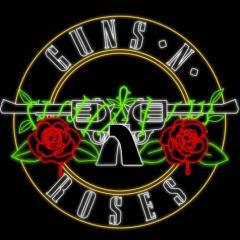 Nightrain Official GN'R fan club members will be notified with an early presale opportunity. Fans and critics have long speculated the regrouping and the Mexico City date marks the fifth scheduled appearance in April of the iconic lineup featuring founder Axl Rose and former members Slash and Duff McKagan. Following the group’s 1985 formation, Guns N’ Roses injected unbridled, unrivaled, and unstoppable attitude into the burgeoning Los Angeles rock scene. The spirit went on to captivate the entire world with the release of their 1987 debut Appetite for Destruction –the best-selling U.S. debut ever, moving 30 million copies globally. In 1991, the seven-time platinum Use Your Illusion I and Use Your Illusion II occupied the top two spots of the Billboard Top 200 upon release. Over the course of the past decade, Guns N’ Roses have performed sold out shows and headlined festivals worldwide following the critically acclaimed release of 2008’s RIAA platinum- certified Chinese Democracy. Six studio albums later, Guns N’ Roses are one of the most important and influential acts in music history and continue to set the benchmark for live performances connecting with millions of fans across the globe.